Southern Sun Cape Sun Hotel is located in the central business district of Cape Town and is convenient guests on corporate or leisure travel. This Cape Town central accommodation is the perfect choice for business and leisure travellers, as its location is convenient for both. The city itself offers travellers an experience of a lifetime. 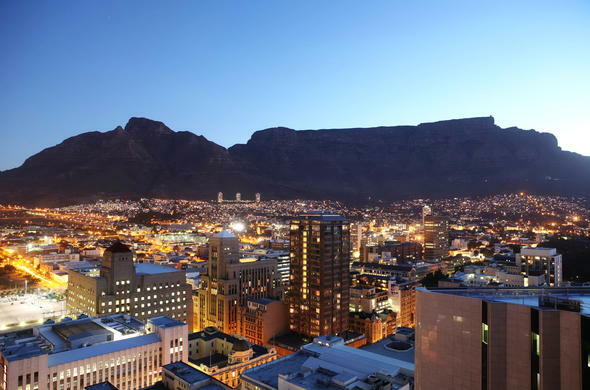 Close to the centre of Cape Town, the hotel has magnificent views of Table Mountain and the Harbour. It can be found on Strand street in Cape Town’s City Bowl. The property is close to many of the city’s night-spots. It is only 5kms from the V and A Waterfront, 11kms from Table Mountain, 7kms from Clifton Beach, 3kms from the Cape Town International Convention Centre and 22kms from the Cape Town International Airport. From Airport take N2 to Cape Town. Follow until Strand Street. Turnoff to the city. Cross 3 traffic lights and the Southern Sun Cape Sun Hotel is on your left side.